Gordon Nixon has been CEO of Royal Bank of Canada since 2001. In 2007 Canada's Financial Post Business Magazine named him 'CEO of the year', a measure of the success RBC, along with its other major Canadian banking peers, had in avoiding the worst excesses of the credit crisis. RBC has been credited with a prudential and timely approach to its credit derivatives exposures prior to 2007. Gordon Nixon is president and chief executive officer of RBC, the brand name for Royal Bank of Canada and its subsidiaries. 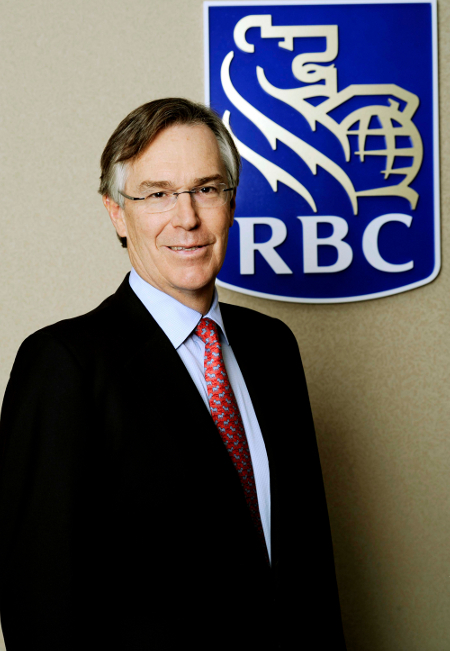 He is also a director of Royal Bank of Canada and chairman of RBC’s Group Executive. Nixon began his career in 1979 at Dominion Securities in Toronto where he worked in Global Markets and subsequently the Investment Banking division. In 1986, he transferred to Tokyo to assume responsibility for the firm’s operations in Japan. Dominion Securities was acquired by Royal Bank of Canada in 1987 and he returned to Toronto in 1989 as a managing director of Investment Banking. In 1995, he was appointed head of Global Investment Banking and in 1999 became chief executive officer of RBC Capital Markets and a member of Royal Bank’s Executive Committee. He was appointed president of Royal Bank of Canada on April 1, 2001 and chief executive officer on August 1, 2001. He is chairman of MaRS, a not-for-profit organization that connects science, business and capital and co-chairs The Toronto Region Immigrant Employment Council. He is a director and past chairman of the Canadian Council of Chief Executives and is on the Board of Directors of The Hospital for Sick Children and The International Monetary Conference. He has served as a director of a number of organizations in the arts, health care and education and has chaired numerous events and fundraising campaigns including the United Way of Greater Toronto and is currently chairing the Queen’s University Capital Campaign. Nixon has been awarded the Order of Canada and the Order of Ontario. He is a recipient of Canada’s Outstanding CEO of the Year Award, the Canadian Business Leader Award and is included in Barron’s list of the World’s Best CEO’s. He has an Honorary Doctor of Laws from both Queen’s University and Dalhousie University and is a recipient of the CIJA/UJA Words and Deeds Leadership Award, the Rotary Foundation’s Paul Harris Fellowship, a Queen’s Golden Jubilee Medal, a Learning Partnership Champion of Public Education Tribute and an American Banker Innovator of the Year Award. Born in Montreal in 1957, Nixon attended Queen’s University where he received an Honours Bachelor of Commerce degree. He and his wife live in Toronto and have three children.